For any enquiring mind, whether Freemason or not, this little book sets out to help answer questions – not so much: "What does it mean?" but rather: "What can it mean? ", since the journey is concerned not with learning other people's answers, but in working out answers for yourself. 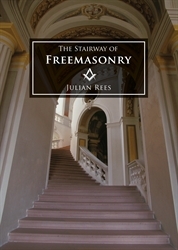 Why can I not become a Freemason by reading about it in a book? What would initiation do for me? What is the point of secrets in Freemasonry? Why are the square and compasses in Freemasonry such a universal symbol? What are Masonic symbols for? Do they mean anything? Can Freemasonry be as meaningful for me as my religion? By being a Freemason, can I be closer to God? Why are we called Free Masons? If secrets in Freemasonry are not to hide something, what are they for? What does the ritual mean when it talks of avoiding fear and rashness? How can symbols best be used? Can working tools really be used to make me a better person? If so, how? Why is it said that lodges stand on holy ground? How am I to understand light in a symbolic sense?